You don't have to create a separate campaign if you want to change the commission level or set up a special discount for some of your promoters. It happens very often to give a better reward for an influencer or a special discount to his followers, different the one set in the campaign. 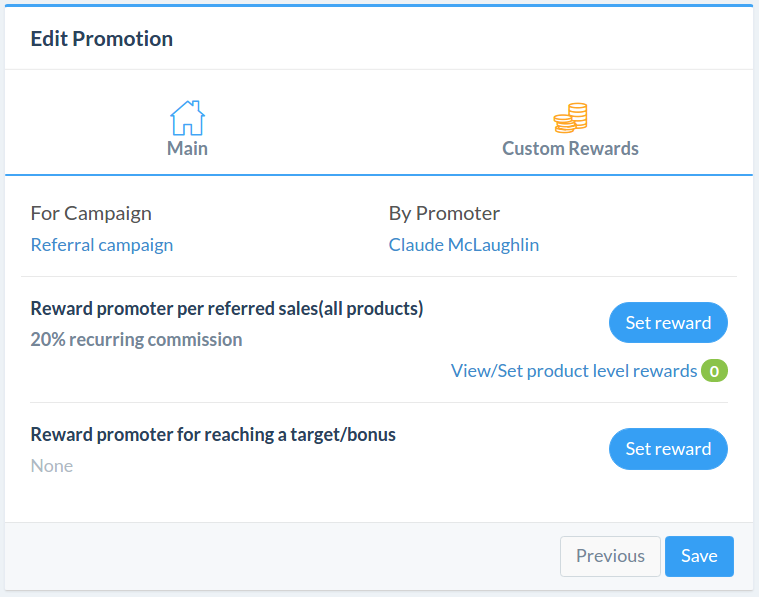 You can also see the promotion details on the promoter overview page(when you click on promoter name on Promoters section).